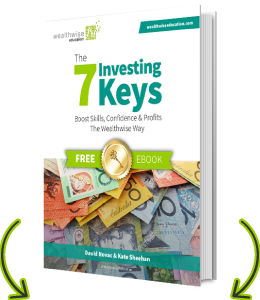 In March 1997, Wealthwise Education Pty Ltd was co-founded by David Novac and Kate Sheehan. Wealthwise Education shares over 30 years of knowledge and experience on how to invest and how to trade through a range of practical, effective courses and audio-visual programs. Wealthwise educates people all over the world including Australia, NZ, USA, Asia and Europe. Their education helps both novice and experienced investors and traders to achieve financial goals. Their sound strategies reflect a balanced approach to the current trends and conditions of the markets. Wealthwise graduates continue their education through the online Wealthwise Community. Graduates continue to broaden their knowledge base and gain support to become independent and skilled investors or traders. With a strong focus on risk-management and money-management, many graduates have gained the confidence and skills to create their own financial independence. Choose Wealthwise Education for a superior education in the markets. With many hard lessons learned throughout his 30 years in the stock market including the 1987 crash, his expertise in global markets and future trends is renowned as being insightful and realistic. Despite leaving school at 15, by the age of 27, David Novac was the Financial Controller of a $6 billion Merchant Bank. With a solid background in Merchant Banking, Finance and Accounting David was well established in corporate financial circles. David’s passion for the dynamic world of the stock market led him to leave the corporate world. 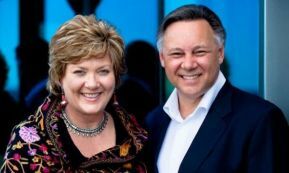 In 1997 David Novac and Kate Sheehan founded Wealthwise Education. With many hard lessons learned throughout his 30 years in the stock market (including the 1987 crash), his expertise in global markets and future trends is renowned as being insightful and realistic. David’s infectious passion for the markets means he keeps his finger on the pulse of global markets on a daily basis, ensuring the Wealthwise Education learning materials remains fresh and relevant. He shares this wealth of knowledge in a refreshing, simple and clear manner. David leads you, step by step, through how the stock market really works. He is skilled at taking seemingly complex ideas and explaining them in a way that is readily understood and can be applied with confidence. appears regularly as co-host on ‘Your Money – Trading Day’ Channels 95 & 601. Previously on Sky Business ‘Lunch Money’ and ‘Market Day’; an expert panelist on ‘Your Money, Your Call’ and ‘Bonds Vs Equities’ TV Shows. David has also led many personal development and financial training programs for multi-national corporations. David’s presenting style is personable and down-to-earth. He doesn’t hype people up; he teaches strategies, techniques and how to apply them whether the stock market is going up or down. His content is current, practical and effective. He covers the nitty-gritty of how to analyse, profit and protect stock market investments. One of David’s strengths is his ability to demystify the complex world of the stock market. That is one of the strongest themes in the many testimonials that are evidence of the success of his involvement in a workshop, keynote or television appearance. Importantly, David believes the best form of education is practical and likes to engage with his audience. While David’s keynote presentations or workshops, are both practical and entertaining, it’s the results you get from his education that will keep you inspired and motivated. 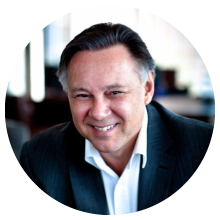 David Novac’s personal journey and market experience, shared in the Wealthwise Education Workshops and learning products, will contribute greatly to your success in the markets. David Novac’s formal qualifications include: RG146 Compliant under FSRA and an Accredited Derivatives Advisor, Level 2 (ASX). Kate Sheehan is RG146 Compliant under FSRA and Cert IV in Training & Assessment. She has over 30 years business experience and a background in training, communications, customer service and management. 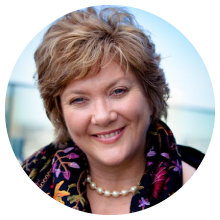 Kate’s passion for education was the driver behind turning David Novac’s stock market experiences into highly structured workshops and other training material, allowing others to benefit from David’s hard-earned lessons. Kate has used her skills to develop Wealthwise; designing the educational workshops; educational products and ongoing graduate support facilities. Kate also provides strong support to attendees in the workshops and beyond. How is Wealthwise different from other Financial Educators? We do not feed on hype and your emotions and promote ‘Quick Rich’ strategies. We encourage the use of sound strategies for building wealth in the stock market – and keeping it. If you follow Wealthwise’s structured approach, strategies and rules, financial independence can follow but it does require dedication, persistance and some effort. Our courses are reasonably priced to provide access to all individuals who want to take control of their financial future. Wealthwise has built its success based on trust and referrals, not marketing. Trust in our methodology and education process has provided graduates with an invaluable return on their investment. This provides participants the opportunity to actively participate in our workshops and allows us to provide individual support where it is needed. Through sharing with other people in the course you gain a much richer understanding of the materials taught. We offer graduates on-going support beyond the courses. Following each course we keep in touch with you via practical exercises to implement the course material and hone your financial skills. We also encourage our graduates to actively participate in our Wealthwise Online Graduate Community to exchange ideas and seek support. 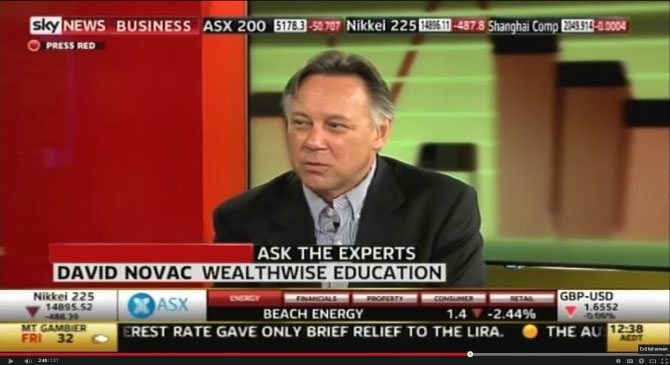 Wealthwise courses are based on the lessons learned by David Novac over his 30 years in the markets. Our courses skilfully balance theory with practical application and are packed with practical examples both from a historical perspective but also real life current examples showing stocks which meet our fundamental and/or technical criteria that trigger investment decisions. Students have applied our methods and in so doing have recouped their course tuition and even made consistent returns. Many graduates ‘refresh’ courses to benefit from refocusing on the essentials and knowing how they could be affected by the latest global market activities. Since we started our financial education service in March 1997, we’ve focused on providing people with a clear, simple, yet wise principles. In addition to wisdom gleaned from our own lessons, we also look to masters like Warren Buffett, George Soros and Sir John Templeton. We only focus on the stock market. We concentrate on investing and trading via stocks and options. We take great care to ensure that the structure of our courses provides a great learning experience for the participants. That manifests in our small classes so everyone has the opportunity to interact, ask questions and get clarity. We want to impart the lessons we have learned, effectively, so our graduates don’t have to learn the hard way. Our dedication to improving and keeping courses current means our graduates can be assured they are getting all the important knowledge they need without time-wasting fillers. Our aim is to share the distilled wisdom gained over many years, so others understand and can control their investments and finances.